PYEONGCHANG, South Korea (AP) The Court of Arbitration for Sport says it will hear the doping case against Russian curler Alexander Krushelnitsky on Thursday. 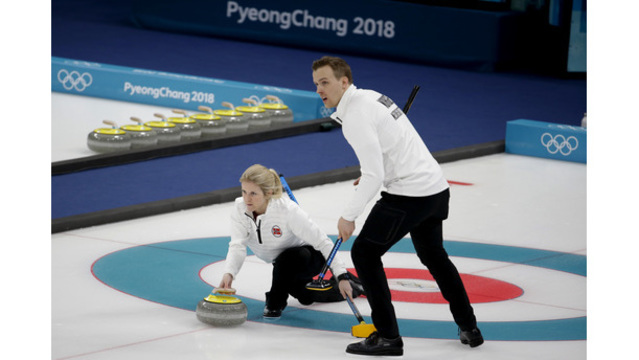 Krushelnitsky returned a positive test for meldonium at the Pyeongchang Olympics after winning a bronze medal in mixed doubles with his wife, Anastasia Bryzgalova. Russian athletes are participating in Pyeongchang as ''Olympic Athletes from Russia'' after the IOC suspended the Russian Olympic committee last year in connection with a massive doping scheme at the 2014 Sochi Olympics. CAS says the hearing will be at 2 p.m. local time. A ban for Krushelnitsky could result in Russia losing its chance to be reinstated before the end of the games. Russian officials have suggested it was possible someone tampered with Krushelnitsky's food or drink.